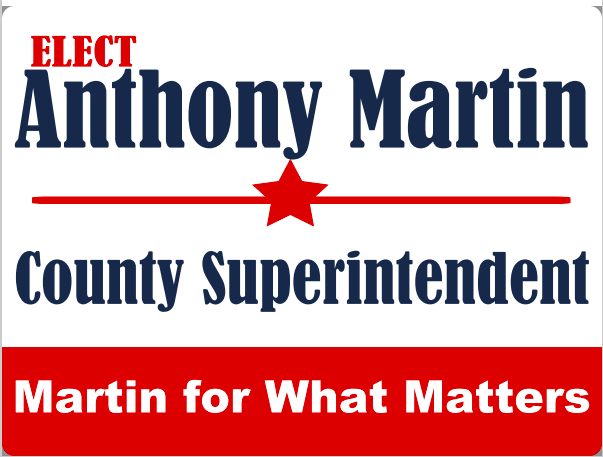 Looking for an Opportunity to Help the Campaign! 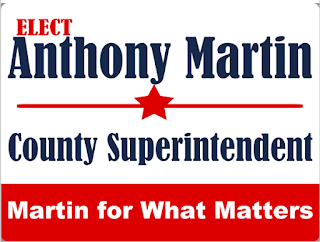 As political sign season gets into full swing we'd love to have one of Anthony's signs in your yard. A great way to help make this happen and support the campaign is by sponsoring one or more signs! 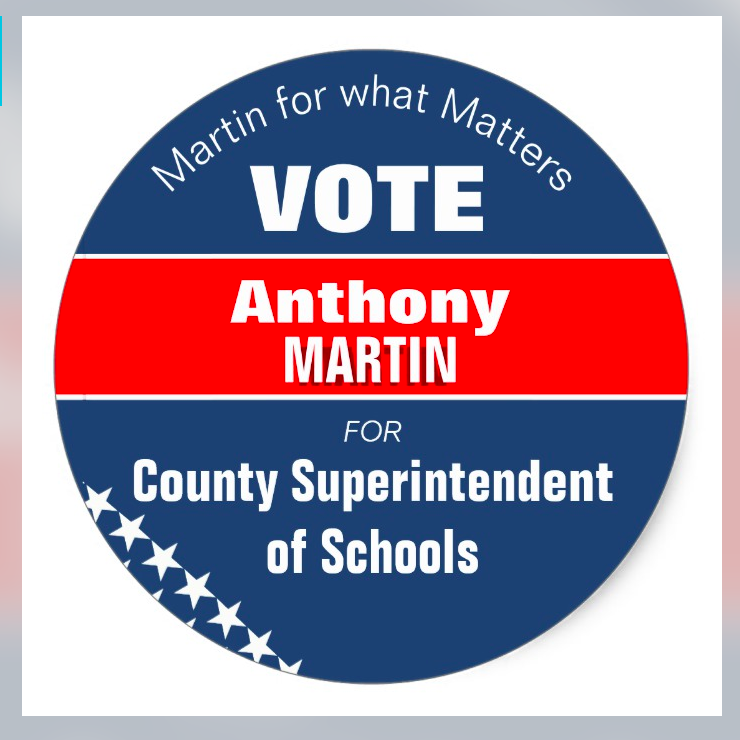 Each sign sponsorship costs $5 and is an easy, inexpensive way to support Anthony's effort to become the next County Superintendent of Schools. We hope that you'll consider sponsoring one or more signs today and help us elect Anthony the next County Superintendent! Click here to sponsor one or more signs! Signs will look similar to the one below. I'm excited for the formal Press Release of my Candidacy! Please keep an eye out in our local papers and listen for it on the radio! Let me know if you hear it! 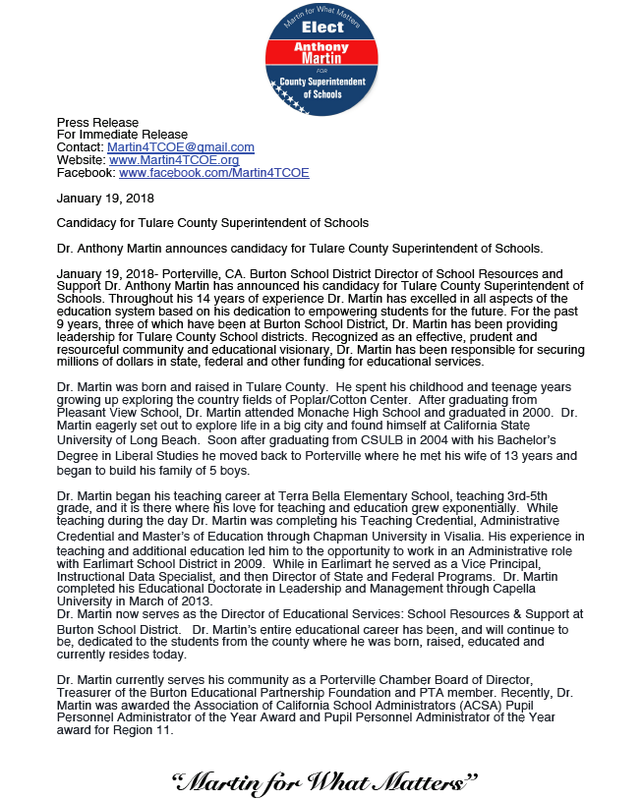 I'm excited to announce my candidacy for Tulare County Superintendent of Schools in the upcoming elections! I feel blessed to have so much support and encouragement since I have announced this new endeavor. There are a couple of different pages already up with many more to come! Please take a few moments to review the site. If you'd like to help me in the new challenge I have taken on I would greatly appreciate it! If you're interested in ways that you can help the campaign be sure to check out the Ways to get Involved page! I'm happy to take input and answer any questions. Thank you for your support!